It may look like a Band-Aid, but the “Zio” cardiac monitor can help emergency-room patients avoid unnecessary follow-ups, according to a new study by Scripps Health. Developed by iRhythmn Technologies, the 2-by-5-inch patch sticks to the skin like an adhesive bandage. Despite their severity, cardiac arrhythmias happen infrequently and are tricky to diagnose. The Zio, on the other hand, provides continuous recording of up to 14 days—significantly longer than most heart monitors on the market. Both the extended time frame and the wireless nature of the device allow the Zio to monitor symptoms such as fainting, palpitations, and dizziness without encumbering daily activity. When the adhesive wears off, the patient only has to use the pre-paid envelope to mail it back to the manufacturer, who will analyze and report the results to the patient’s physician. When the adhesive wears off, the patient only has to use the pre-paid envelope to mail it back to the manufacturer. Steven Higgins, chairman of the department of cardiology at Scripps Memorial Hospital La Jolla and a lead investigator, describes the invention as the “Netflix of heart-care,” one that will also enable doctors to better diagnose challenging cases. Plus, among the 285 symptomatic patients the study followed, researchers found that 59 percent of those who presented arrhythmia-like symptoms to the emergency rooms did not in fact have arrhythmia and may not require any further work-up. “Thus, the new device has the potential to save the healthcare system millions of dollars,” says Higgins. Another bonus? “We were also surprised to learn that there was 100 percent compliance by the patient with the process, which is an amazing finding for an emergency department study,” he adds. Although the Zio is a single-use product, iRhythmn designed it to be completely recyclable. Metals and elements from the board, cables, and batteries are recovered and resold to their respective industries. Plastic and PVC is recycled for reuse. Even the external casing will find new life as a park bench, trash container, or parking lot. 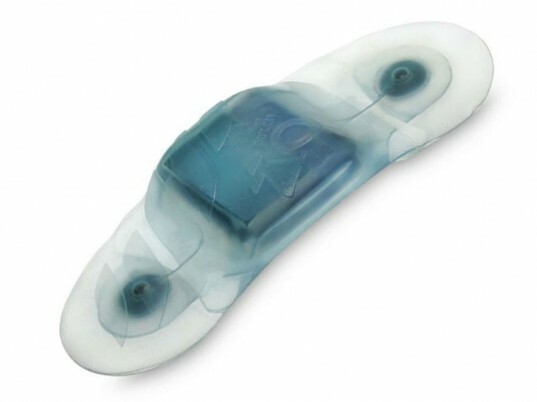 It may look like a Band-Aid, but the "Zio" cardiac monitor can help emergency-room patients avoid unnecessary follow-ups, according to a new study by Scripps Health. 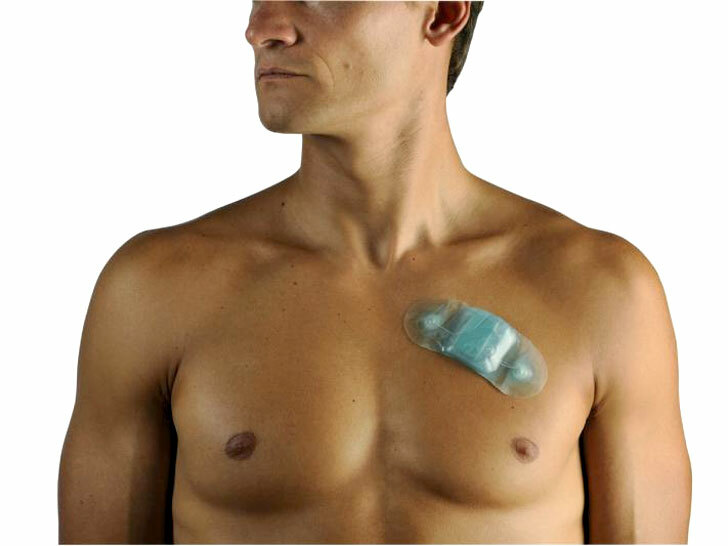 Developed by iRhythmn Technologies, the 2-by-5-inch patch sticks to the skin like an adhesive bandage. Despite their severity, cardiac arrhythmias happen infrequently and are tricky to diagnose. The Zio, on the other hand, provides continuous recording of up to 14 days�significantly longer than most heart monitors on the market.